I was looking for some cli tools to convert odf to html, however, most ODF converters I found out there utilizes OpenOffice-Uno or OpenOffice macro for conversion of ODF documents - which means, they need a full blown openoffice to be installed and running before being able to convert the documents. Unoconv is one of them (available in Fedora repos). These type of tools are resource intensive, and can't really run without GUI, not quite what I want. Being curious, I installed ODFPy, and to my surprise, the package also provide some scripts to automatically convert ODF to several text based formats - odf2xhtml,odf2mht,odf2xml and odf2war - just what I was looking for. Looking at the available libs, theres also odf2moinmoin.py. My old R51 performance have been bugging me for this past several months, overheating processor, limited dualscreen resolution, dying harddisk, broken keyboard key, etc. I needed a new machine that able to keep in pace with my current job in Inigo and for other stuff (such as watching HD animes, and experimenting with resource intensive stuff). 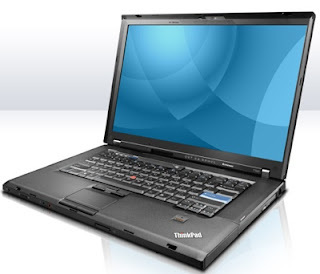 So, I bought a new Thinkpad T400. Bought it last Tuesday but didn't manage to blog about it due to a bit too occupied with stuff. Got a free 2GB DDR3 from the vendor (which increases my RAM to 4GB). It comes with Vista OEM, and naturally, I kicked that OS aside :P .